BOOST a BIGGER mane: believe it, Hair ADVANCED by RevitaLash® actually makes hair look thicker. a unique volumizing conditioner easy to use after every shampoo, made by the same folks that created revitalash eyelash conditioner. not your ordinary volumizing hair conditioner, this is a ‘BULKING’ treatment that is in the well over $100 range*, and worth it. you [and everyone else] can see noticeable results as soon as a couple of weeks… get ready for the ‘WOW, your hair looks great!’ comments, we’ve seen and heard it! Inspired by their Eyelash Conditioner, Hair ADVANCED by RevitaLash® is a unique hair conditioner that fortifies and strengthens the hair so it appears thicker, fuller and healthier. hair bulking product enhances the appearance of fine, thin, fragile-looking hair in a matter of weeks. 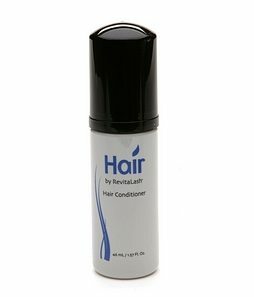 Packed with conditioning agents like Ginkgo Biloba, Ginseng Root, Swertia Japonica Extract, fruit extracts and wheat proteins, Hair ADVANCED by RevitaLash® is easy to use. one or two pumps massaged into areas where you want your hair to appear thicker and fuller. made in belgium. about $180 at Revitalash.com and dermstore.com… we found it at drugstore.com for about $120.